Roberta Warshaw Art and Design: Manhole Cover! The design you are looking at is derived from a manhole cover! That is correct, a manhole cover. 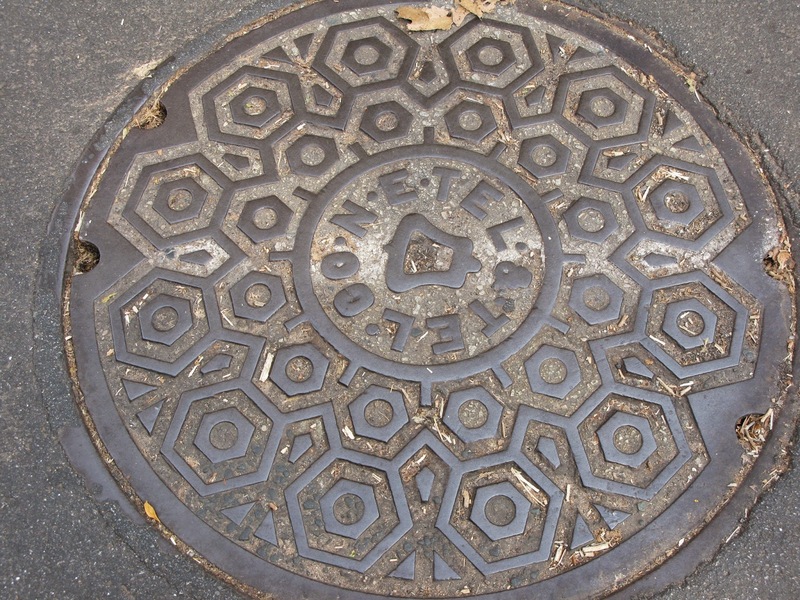 A Bell Telephone manhole cover to be exact. I have no idea how old that is since Bell Telephone has been long gone for quite some time now. In the second class I am taking called "The Art and Business of Surface Pattern Design" Module 1, the first assignment was to go out with our cameras and find inspiration for pattern making. We were to take photos of one particular shape. And then shoot everything you could find in that shape. 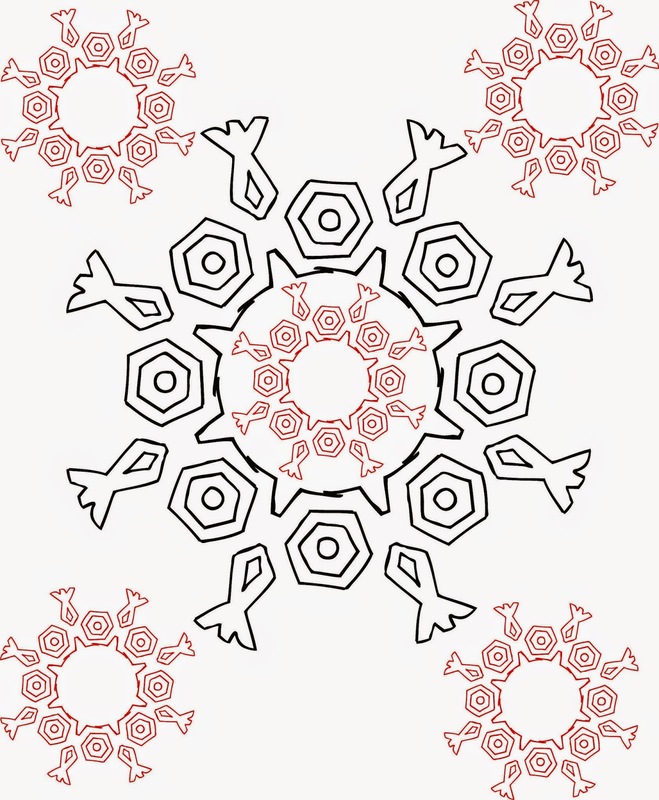 I drew each shape and then scanned them into the computer to mimic the design of the cover. I really like the way it came out. Someone in the art group said it almost looks Aztec. Sometimes it pays to look down! 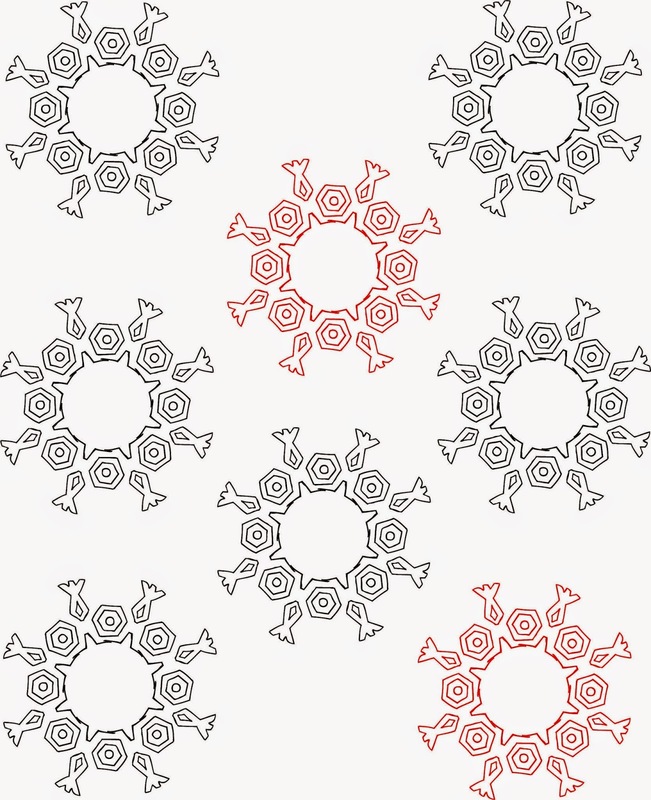 Part of the class includes working in illustrator to create our patterns. As I may have mentioned I was never very good at Illustrator so this class is really helping me get my artwork into the computer and work on it there. I have learned so much in just one week! Next week in my MATS-A class, the project is going to be for a children's book design. I am not sure how I will do in that since kid art is not really my thing. But I love a good challenge, so we will see! Inspiration is everywhere! And you've done a wonderful thing with a manhole...very gorgeous. Great post Roberta, I look forward to reading more. You know there is a quilt book showing man hole covers & making quilts from them!! Your designs are great! !